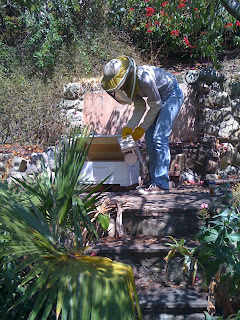 Kirk helped me install these lovely new bees yesterday, and I took the gals a sugar syrup snack today. I have seen long bee tongues vacuum up the syrup and diminutive bee butts fanning orientation pheromones into the air. They are peaceful, fuzzy, and buzzing. Bees as they should be.